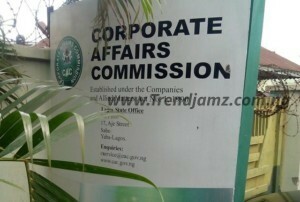 The Corporate Affairs Commission (CAC) has extended the 50% discount on business name registration till March 31, in what appears to be a call on Nigerians to register their businesses at N5000, down from as much as N10,000 previously. The commission took to its Twitter page on Thursday, January 3, to urge Nigerians to take advantage of the window, adding that it took the decision to deepen the benefits of its reform initiatives. In an effort to deepen the benefits of its reform initiatives, the Corporate Affairs Commission has extended the reduction of cost of Registration of Business Names from N10,000 to N5,000. In October last year, Vice President Yemi Osinbajo had announced that the federal government has approved a special window of 90 days from October 1 to December 31 to register businesses at N5000, down from as much as N10,000 previously.